Hello again! 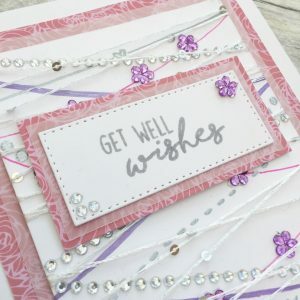 It’s me, Natalie, back with a very sparklycard, featuring stamps from two different Mama Makes sets. 1. 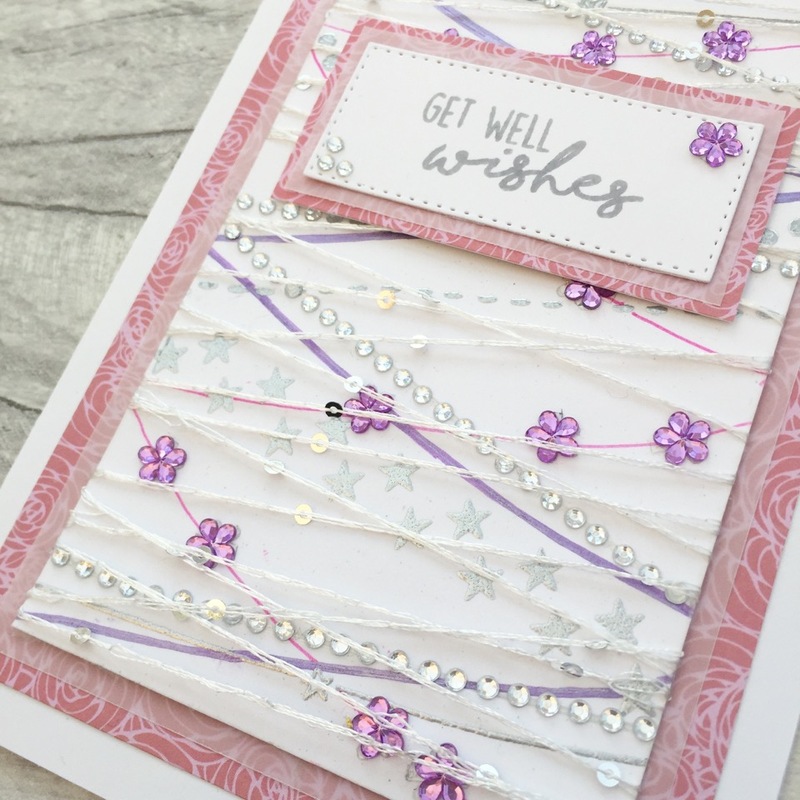 Create your sentiment on a small rectangle of white cardstock, using the ‘Get Well Wishes’ stamp from the Sending Hugs set and grey ink. 2. 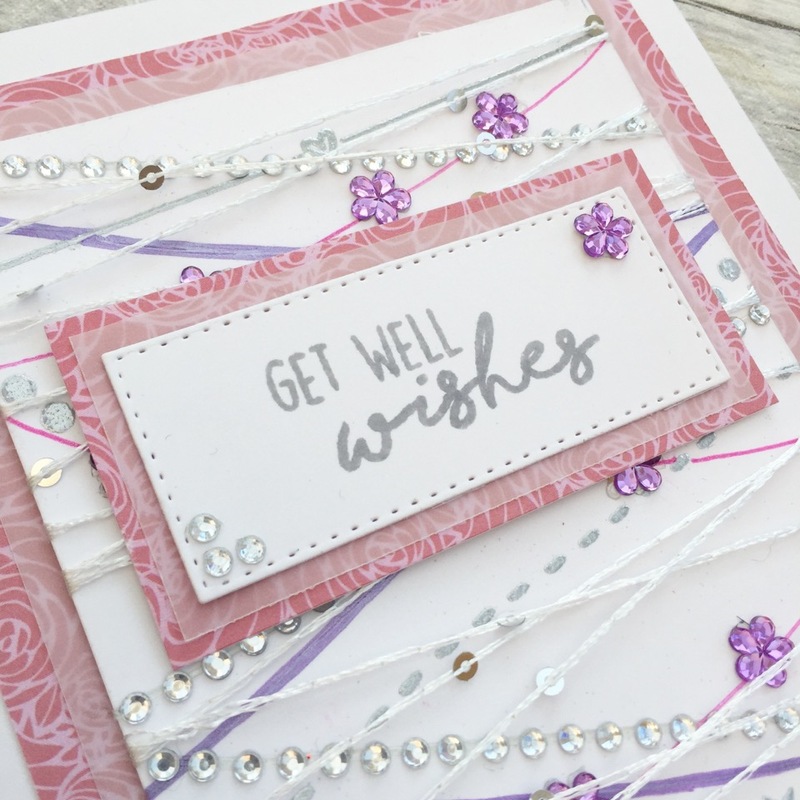 Mount your sentiment piece onto a larger rectangle of vellum using double-sided tape, and then mount this onto a larger rectangle of scrapbook paper. To embellish, add craft gems. 3. 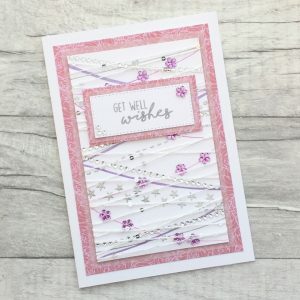 To create you main panel, use embossing ink to stamp the ‘funky borders’ stamps in swooping zig-zags down the 4”x6” piece of white card stock. Heat emboss these images with silver embossing powder. 4. 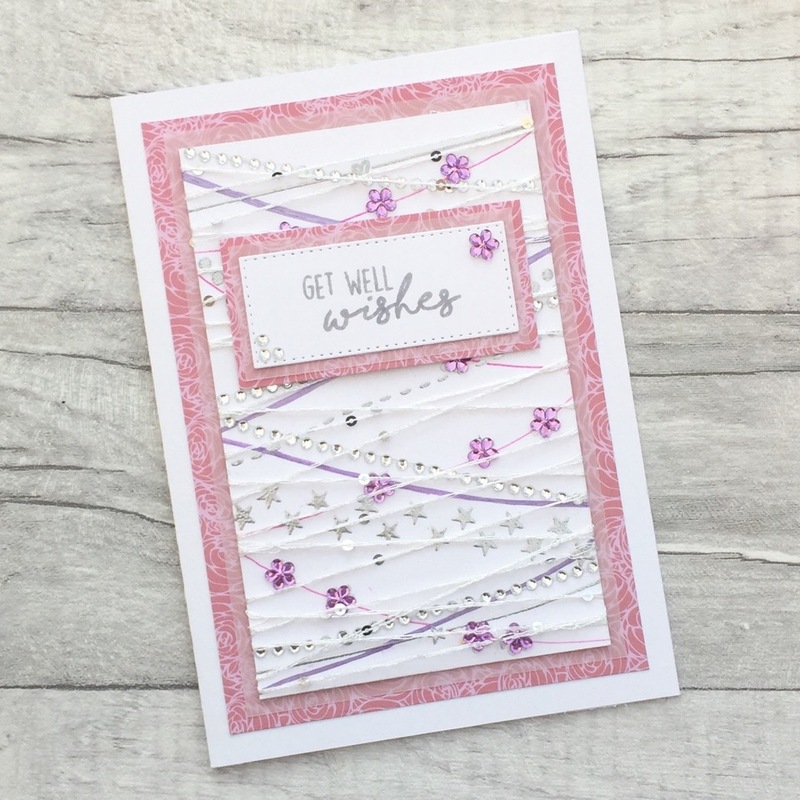 Add more swooping zig’zags using the metallic gel pens, ensuring they crossover in places. You can make one colour thicker than the other for variation. 5. Add yet more swooping zig-zags with craft gems. I used strings of silver craft gems, which made this part quick and easy. 6. Add some different craft gems to swoops created with the pens. I used purple flowers. 7. Finally, wrap the sparkly thread around the panel so that it zig-zags up and down, crossing over all zig-zags below. When you’re happy with the arrangement, secure the thread by sticking it down with tape to the back of the panel. 8. Mount your main panel onto a larger rectangle of vellum using double-sided tape, and then mount this onto a largerrectangle of scrapbook paper. Lastly, mount this onto your card blank, and use double-sided tape to adhere your sentiment piece to the front. And there you have it! 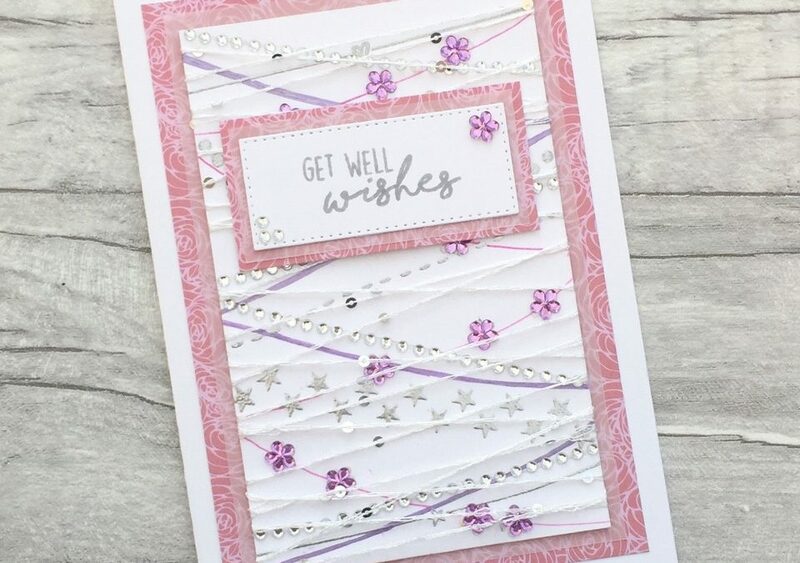 A beautiful, light, bright and shiny ‘Get Well Wishes’ Card, that will hopefully lift someone’s spirits.